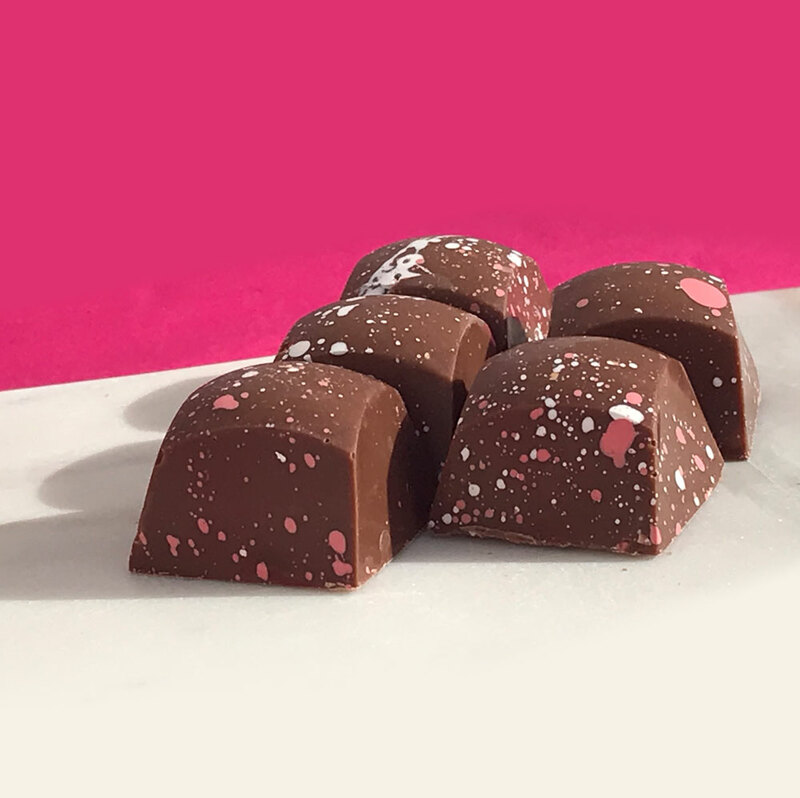 Our Rose Rocky Road is a subtle flavour of natural rose paired with milk chocolate, nougat, marshmallow, sultanas, caramel, and honeycomb for a truly floral experience. 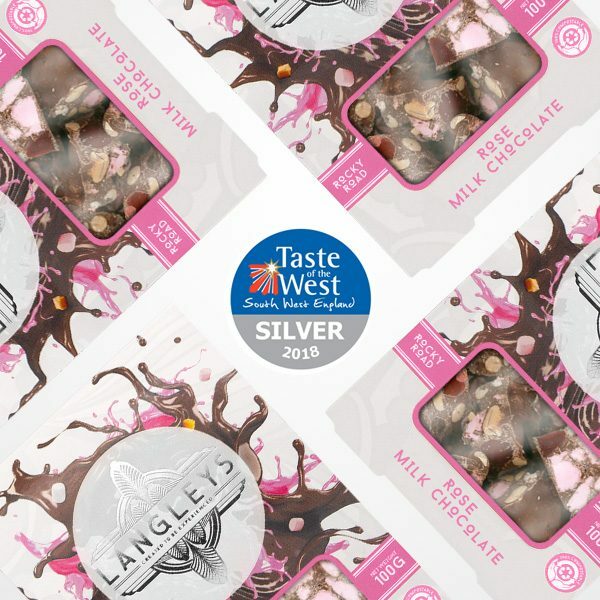 Taste of the West – Silver Award 2018. 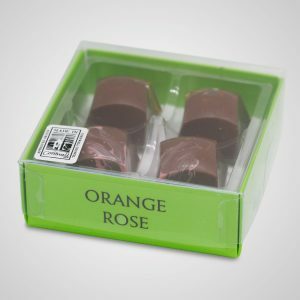 Lovingly crafted in Cornwall, organic rose oil is infused into the finest smoothest milk chocolate for a flavour that’s delicate and creamy but intensely floral and long-lasting. Langleys Rocky Road does the luxury experience very well, and as you open your carton of Rose Milk Chocolate you’re met with a delicate turkish delight perfume from the rose oil and milk chocolate infusion; and the taste expectation won’t disappoint. Close your eyes as you enjoy our award winning Rose Rocky Road on your own or with friends, and feel the essence of Cornwall melting in your mouth. 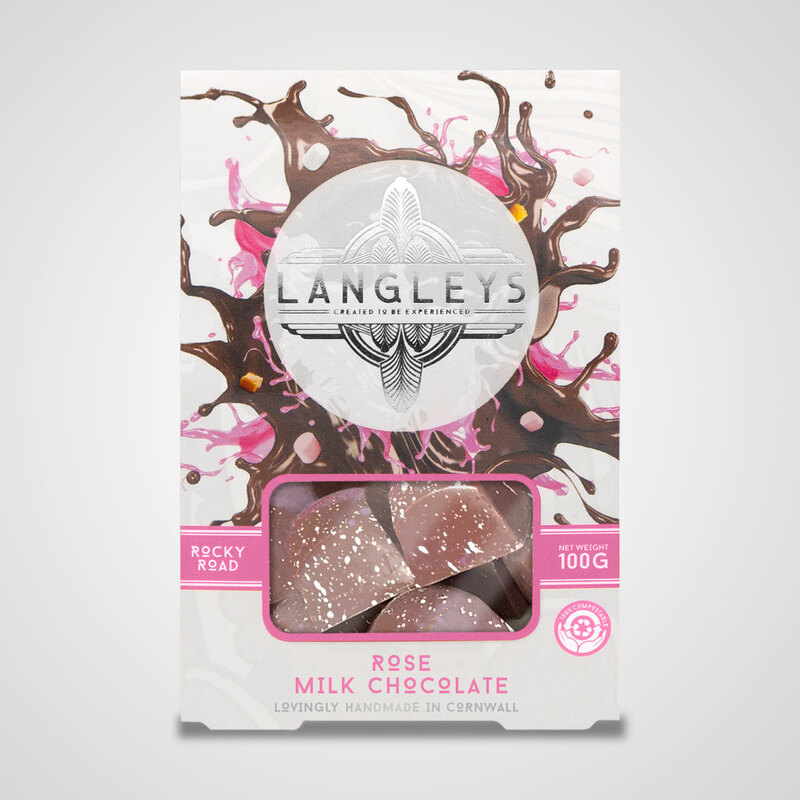 Add a few cartons of this delicious rose and milk chocolate treat to your basket and see some of our other Rocky Road milk chocolate favourites.